We are Keerti Cargo Services Private Limited located in Andheri, Mumbai, MH and very close to International Aircargo Complex , Sahar Village, Mumbai, MH. KEERTI CARGO SERVICES PVT LTD incorporates in 2014. Our key person having 25 years of experience in hazardous cargo logistics industries. Our team works to dedicated professionals who have numerous years of experience in hazardous / dangerous goods logistics, packaging and freight industry. Our team work to dedicated professionals who has numerous years of experience in door to door delivery, dangerous goods packaging and freight industry. 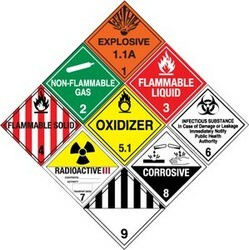 The emphasis of the company is to provide a complete Dangerous Goods packaging & transportation solutions to the customers. All KEERTI’s activities are performed in accordance with the global safety standards: ICAO/ IATA/ IMDG regulation, for the safe handling and transport of Dangerous Goods. We are Mumbai based company having branches across the India including Ahmadabad, Bangalore, Hyderabad and Chennai as well as in New Delhi. Keerti Cargo Services Private Limited also supply UN certified various packaging products which meet the United Nations Recommendations on the Transport of Dangerous Goods (UN Marking). Our UN packaging products are certified by TUV SUD PSB in Singapore, an independent product certification body that provides specific testing services. Products certified with UN marking have undergone stringent test requirements related to packaging integrity such as the drop test, stacking test, hydrostatic pressure test, etc.